Howard University received a A.
Washington Monthly's ranking of 67 out of 277 of National Universities - Overall Rank was a major contributor to this grade. In the District of Columbia at the epicenter of American political power, offering significant graduate programs, especially in law and medicine, Howard University has an alumni roster that is a Who's Who of African American history. Most prominent might be the late Supreme Court Justice Thurgood Marshall, who won the landmark Brown vs. Board of Education school desegregation decision in 1954; to others Nobel laureate author Toni Morrison; to others, perhaps Chadwick Boseman, who played baseball great Jackie Robinson in the movie 42. Howard alumni have made impacts in every field. Describe the type of student who should not attend Howard University and explain why. Describe the type of student who should attend Howard University. Why? What is a typical Howard University student like? Describe the type of person that should attend Howard University. A typical Howard University student is hardworking, dedicated, motivated, and never takes no for an answer. What are the top 3 reasons someone should attend Howard University? What was a typical Howard University student like in high school? Describe the type of person that should attend Howard University. Howards stands out as the standard-bearer, a longtime center of excellence and leadership. Prides itself on its academic excellence as well as its reputation for turning out strong African American students. The school is willing to give applicants a pass on test scores if their high school records [are strong]. Howard offers numerous alumni connections in a wide variety of fields. To study at Howard University is choosing an institution that is experienced, dynamic, and diverse - with a tradition of quality education since 1867 provided by the constant engagement of its faculty toward the students and their needs, and by its rich campus social and cultural life. With such a diverse student body, it comes as little surprise that life thrives on the Howard University Campus. Whatever your particular interest - culture, religion, sports, art, music, theater, politics - you will be assured of linking up with others who share it. Coming to Howard is about connecting - with the life of the mind, the heart of a tradition, and the soul of a people. In addition, coming to Howard means connecting with the future - with success in your education and your chosen careers. What are the top 3 things that students do for fun at Howard University? The top threes things that students do for fun at Howard University are Party the night or day away, go to various Brunches throughout the city, and Socialize with people in or around campus. 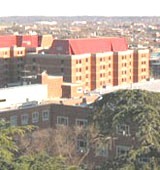 Campus housing is available for undergraduates and is mandatory for freshman. Housing deposit : $200.00. Housing deposit due : Apr 1. Housing deposit is not refunded if student does not enroll.. Freshman allowed to have car. No pets. The average student pays $21,981 for tuition, fees, and other expenses, after grants and scholarships. Total stated tuition is $21,450, in-state and on-campus, before financial aid. Learn more about financial aid at http://www.howard.edu/financialaid/default.htm. Estimate the net price for you at http://www.howard.edu/financialaid/netprice/npcalc.htm. The typical (median) early career salary of Howard University graduates is $46,400, according to Payscale. Howard University participates in the NCAA Division I-AA for college athletics. How strong, is the Political Science department.? US News did not rank their grad program in political science but students review state a "B" status. How can I get a full scholarship at Howard University to read MBBS? What are the requirements? There are a host of scholarships available to students at Howard University's college of medicine. Does Howard offer a MBBS education or not? What is ethnic break down of students at howard? If you scroll down to the Student Life section on this page you can see a breakdown of student ethicity on campus; 93% of Howard students are Black or African American.